The Real Avid Armorer’s Master Wrench. I have a confession to make: there is an 18-gallon tote of discarded AR tools in my gun room. Over the years I’ve tried and tossed quite a few tools aside – that or they broke or failed dramatically in some way. The tote has received a few more additions this past year, one of which I threw in there because I found something I liked more: the Real Avid Armorer’s Master Wrench. There are countless armorer’s wrenches on the market. Some are merely the gun version of a spanner and are designed to fit the castle nut without slipping, but nothing more; some have perhaps an extra hole to fit the receiver extension tool. And some are heavy enough to double as bludgeons. 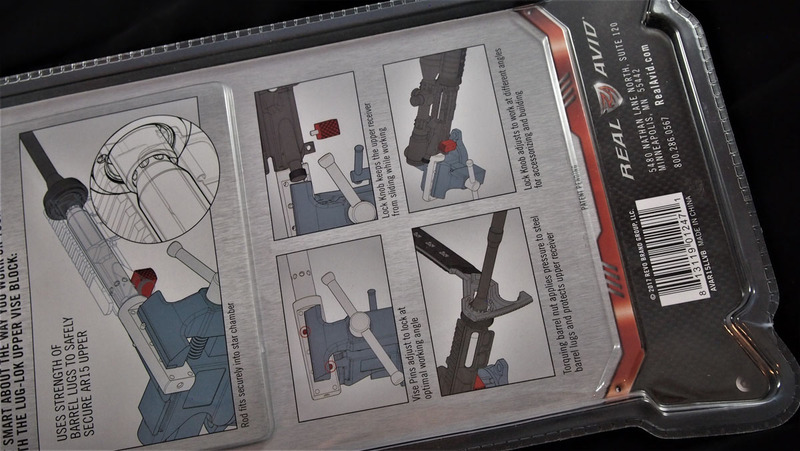 Real Avid’s Armorer’s Master Wrench is an impressive multi-tool I was interested in trying out the minute I saw it. Good tools are life, after all. It’s immediately obvious the Armorer’s Master Wrench is a solid multi-tool. It has an ergonomic handle and is surprisingly well-balanced considering its shape and use; the wrench fits not only my long, slim hands but the shorter, broader hands of some men I know. There is, of course, a castle nut wrench built into this tool – one made to hold its shape during use with deep enough sockets to securely grip nuts without unwanted slippage – but there’s so much more. 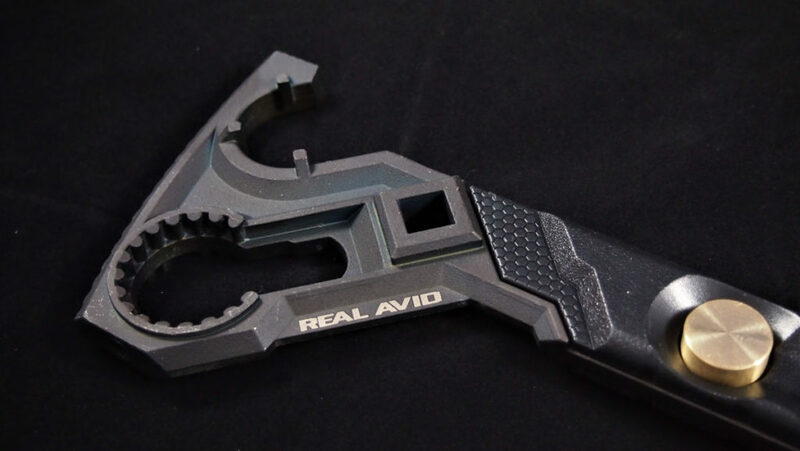 For example, Real Avid included a torque wrench attachment to facilitate precise, critical torque to everything from barrel nuts to muzzle brakes to castle nuts. And if you need to apply a significant amount of torque to a nut you can be sure the wrench can take the pressure thanks to the stainless steel being hardened to twice that of similar tools. The angle and design of the handle also help you keep a positive grip on the wrench as you work. Perhaps one of my favorite things about this wrench is the trio of detachable hammerheads it comes with. It has a fixed steel hammerhead and the three interchangeable hammerheads are stored in the handle of the wrench. The additional heads are made from nylon, brass, and rubber so you can select the material needed for the job at hand. If you’re concerned it might be awkward swinging an armorer’s wrench like a hammer, don’t be; using this tool as a hammer feels natural and works well. 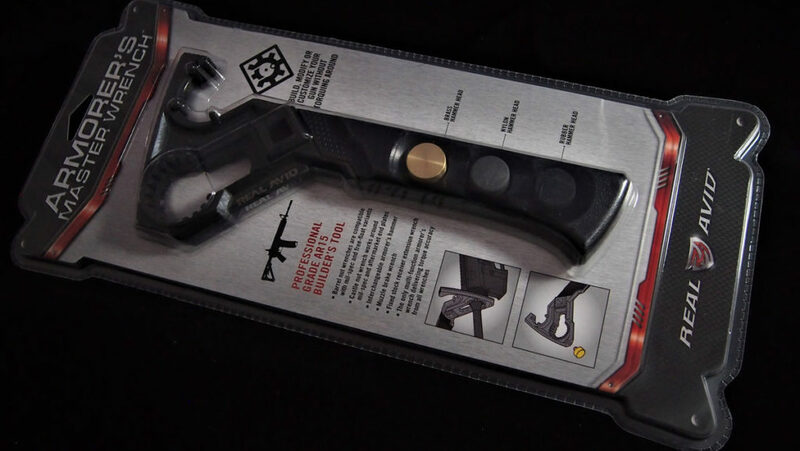 The Real Avid Armorer’s Master Wrench has a variety of multi-tool uses including the aforementioned ½-inch torque receiver and castle nut wrench, a 5/8-inch wrench for fixed stock receiver extensions, a ¾-inch muzzle brake wrench, a free-floating barrel nut wrench, and a MIL-SPEC barrel nut wrench. Then there are the hammerheads and the fact that the company laser-etched torque specs behind the hammerheads. 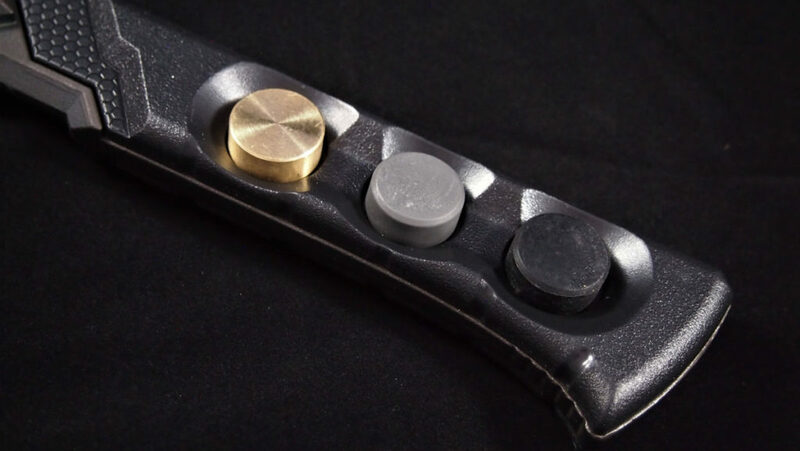 The wrench includes a trio of interchangeable hammerheads in brass, nylon, and rubber. This tool has taken its place as my preferred multi-use wrench. Quite simply, I haven’t found anything else like it. It’s great to have a variety of tools at hand but also handy to have One Tool to Rule Them All. If you’re interested in building an AR or are already a serious builder, check out the Real Avid Armorer’s Master Wrench. It holds up well to use, handles a wide variety of jobs, and takes up less space than the multiple tools it replaces. Visit Real Avid Armorer’s Master Wrench to learn more about Real Avid Armorer’s Master Wrench by clicking HERE. I have used the Real Avid line of tools for over a year in a professional capacity building tons of uppers and lowers. Most of my other brands of tools now reside in a box under my bench. I am pretty much exclusively using Real Avid tools for the primary reason that they they JUST FLAT OUTWORK the competition, such as it is. They are very well thought out and designed to prevent a lot of the problems other tools have during usage. If Real Avid made a competitor for the Wheeler Fast torque wrench, all my tools would be Real Avid. Folks take my word for this. Just try a few of their tools, like the Lug Lock Tool, and the AR15 wrench. You will be sold, as was I. Just finished a build with their armorers kit. I’ll only be using their tools from here on out.